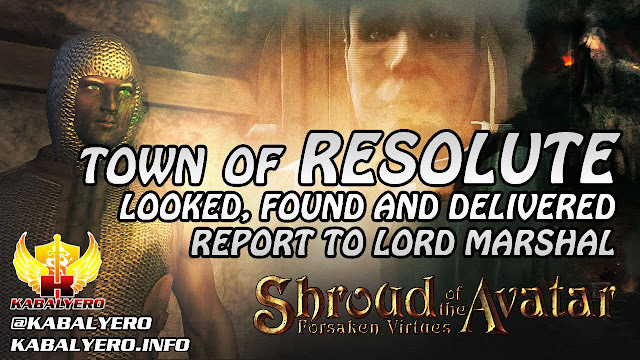 In this Shroud of the Avatar gameplay video, I searched for the Lord Marshal of Resolute to deliver a report about Highvale. I eventually found him in the Hall Of Valor just sitting on his throne doing nothing. LOL!